The London-based model on conquering the international modelling scene, hobnobbing with global celebrities and travelling the world. 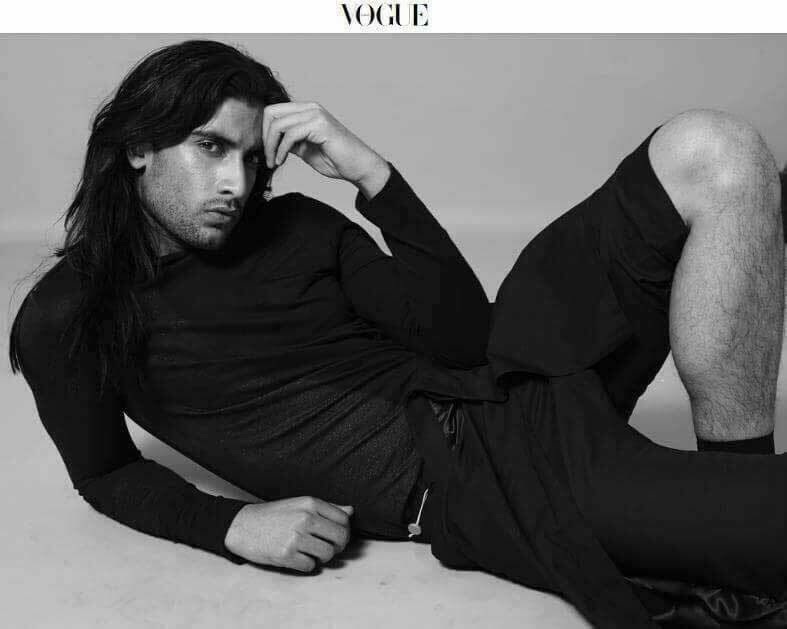 How does one go from being a cricket-obsessed teenager in Lahore to living in London and modelling for the likes of Tom Ford, Calvin Klein, Vogue and Harper’s Bazaar? 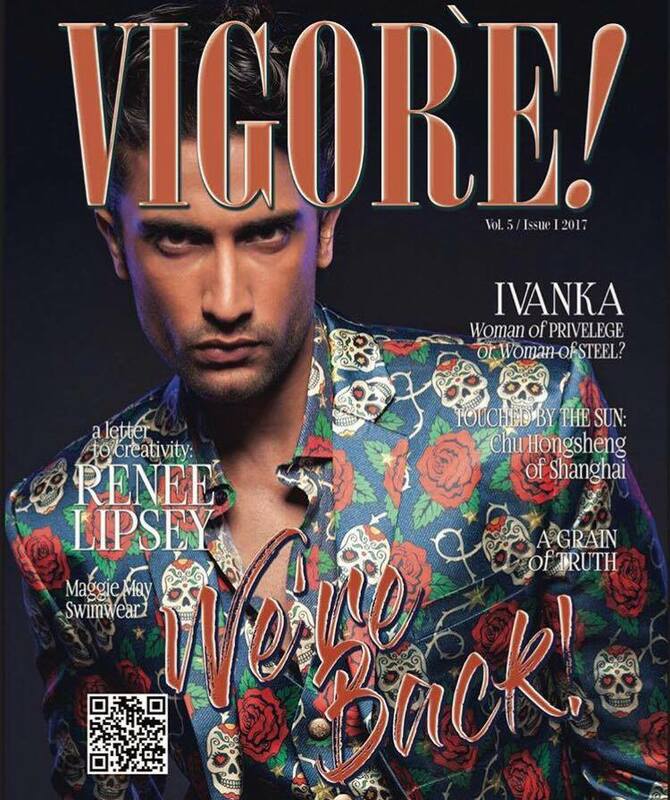 Through sheer grit and determination, according to Champ Imi, the Lahore-born model who has carved a niche for himself in the cut-throat world of international fashion. When he moved to the UK at the age of 17 hoping to make a career as an international model, Imi’s tall, well-built frame and chiselled good looks landed him a contract with an agency immediately. Getting picked for jobs, however, was another thing altogether. “There weren’t many brown, Asian models at the time, and I had to face a lot of discrimination in the early stages of my career for being a Pakistani. My agency actually began to portray me as an Italian to make it easier for me to be cast,” he recalls. Fortunately, the last few years have seen a movement for more diversity in fashion gain momentum, as powerful campaigners, celebrities and organisations have called for greater inclusivity of all genders, body types, ages and ethnicities on ramps and in magazines as well as on social media. One such organisation is Models for Diversity, which campaigns for the fashion, beauty and marketing industries to recognize the beauty in people of all races, ages, shapes, sizes and abilities. It was Models of Diversity that gave Imi his first big break by selecting him to walk at the Oxford Fashion Week, an independent fashion showcase held in Oxford, England, featuring a mix of established names and upcoming designers. Offers started pouring in post the show and Imi was signed by some of the top names in international fashion. From being featured in campaigns for Tom Ford, TopMan, Levis, L’Oreal and Balmain Paris Hair, a commercial for Coco Cola, editorials for British and Italian Vogue and British GQ, walking in London, Milan and Paris Fashion Weeks as well as being the first brown model to appear on the cover of Harper’s Bazaar, the last few years have kept him well and truly busy. With so many achievements already under his belt, Imi shows no signs of slowing down any time soon. This year, he hopes to conquer the Pakistani fashion industry, turning his twice-yearly visits to his hometown to work on select shoots into something much more consistent. Acting is also on the agenda. Read on to discover more about fashion’s next big star. I am working on a super secret project and attending acting school alongside that. I am also doing a lot of modelling work and will be travelling to Europe for it in the next few months. Home is where the heart is. And my heart lies between London and Lahore. My mum I must say. She is my everything. A lesser known fact about you? My real name – it’s Mohammad Ali Subhani. The hunger to be a better version of myself, which leads me to constantly read and research. Sometimes, though, I would just blame it on Netflix. How would you describe the last year in three words? It’s all about ghetto music for me including grime, rap and gangster music. To be successful in everything I do, and to make a difference in this world. How often do you visit Pakistan? Twice or thrice a year. But from this year, I will be coming here more frequently. What is the most desi thing about you? I am a proper Punjabi, and I love my desi music and culture, especially the food. The coolest thing you’ve ever done? Being part of the huge ensemble cast of the upcoming Guy Ritchie film Aladdin. It was an experience that I will never forget. Meeting Will Smith on the sets of Aladdin. Describe your living space to us. I have a nice apartment next to a water stream; the living room houses some cool art. Everything inside is white, including the walls, bed, cupboards etc. A cricketer – no doubt about that. My mum is my inspiration, I want to be kind like her. Remember that fruit grows on trees that are bent so always be humble and down-to-earth. And treat people the way you would like to be treated. Paris and Oslo next month. It starts with Fajr prayer and then straight to the gym, followed by breakfast. After that, I go to work depending on what assignment I have booked for that day. Once I’m free from work, I head to the gym again. Dinner is a nice steak and then it’s time for Netflix. I never go to sleep without talking to my mom back home in Lahore. How long does it take for you to decide what to wear? Ten minutes and I am ready. Very funky street style with nice shoes. Starting my own clothing brand called Champ Imi, which is launching very soon in fact. And sky diving. I can be both depending on the situation. But generally, an early riser. You can always be found at…? Google, Instagram, Facebook, Twitter, YouTube and especially in the gym. The history and the culture the city has to offer. Also its diversity.